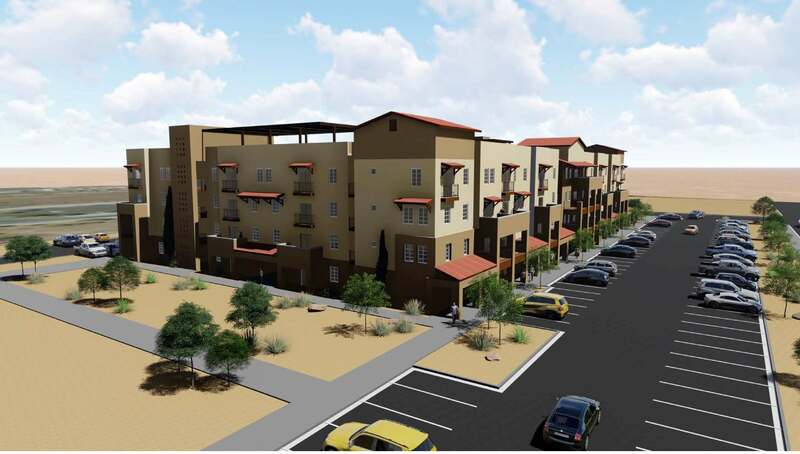 Nuevo Atrisco Apartments is part of a collection of restaurants, shopping, entertainment, community space and housing. The architectural design is a blend of modern and old world Mexican/New Mexican. 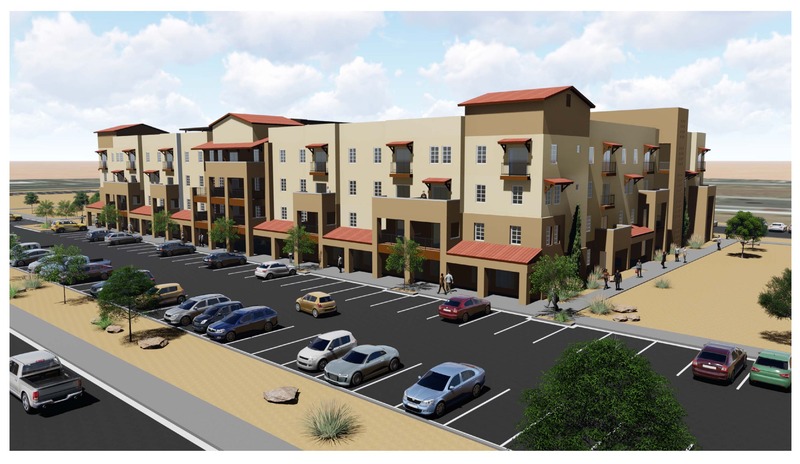 With over 42,000 square feet of retail/restaurant/plaza space, Nuevo Atrisco will provide needed shopping and dining options to area residents, as well as the greater Albuquerque community. YES hopes to secure the financing needed so construction for the apartments can begin in 2018. 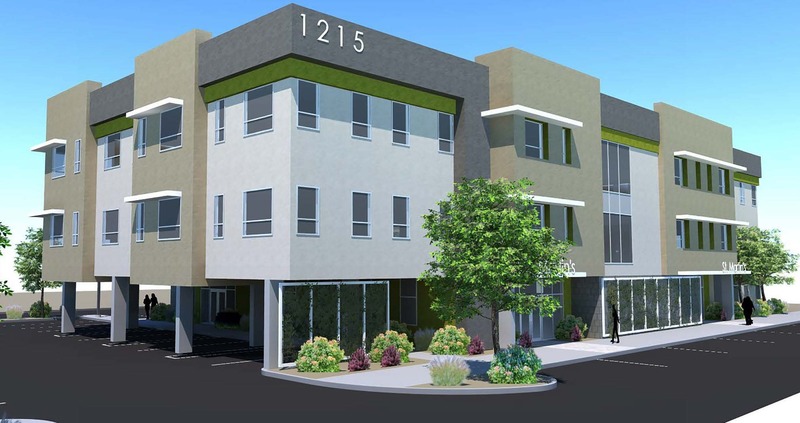 This exciting 80 unit development is designed for families with an additional 8 live/work units to be provided on the street front along Unser Boulevard. The development will consist of one single building, with four floors, manager’s office, social service provider’s office, common space for resident activities, laundry facilities, and two elevators. Nuevo Atrisco will house those with incomes at or below 30% area median income (AMI), 50% AMI, 60% AMI, and market rate. We are pleased to have Dekker/Perich/Sabatini working diligently as our architect. The development is less than ¼ mile from several major transportation corridors – Interstate 40 and Lomas Avenue. Wyoming Boulevard is also within ½ mile of the development. The property is well located to medical services (Presbyterian Kaseman Hopital) and extensive shopping opportunities, as well as access to City Bike Routes, making this an excellent location for our senior/disabled residents. The proposed renovation will create additional resident common area space for social service provision, the addition of a second elevator for resident safety, and numerous handicapped accessibility upgrades to the property to assist our senior/disabled resident population. 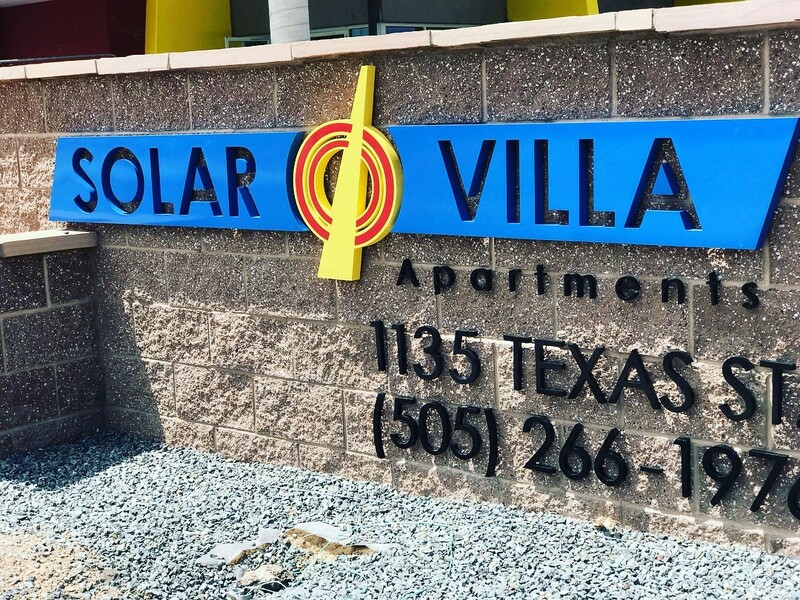 Solar Villa is a 100 unit (all 1-bedroom) development originally constructed in 1977. 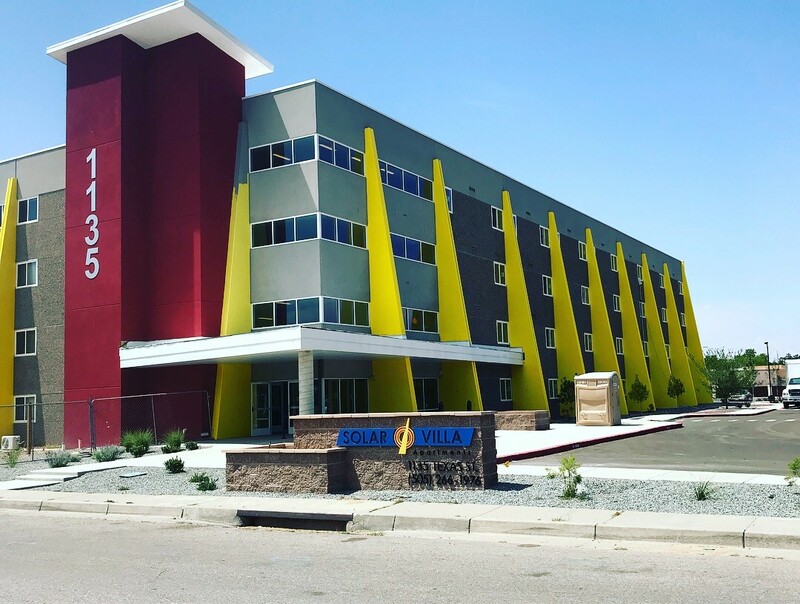 It consists of a single concrete building, with four floors, manager’s office, social service provider’s office, common space for resident activities, laundry facilities, and one elevator. Major building systems to be replaced are: roof, flooring, plumbing, heating ventilation, air conditioning, electrical, and windows. A new elevator will be added to better assist the residents. This development serves seniors (age 62+) and disabled persons with incomes at or below 30% area median income (AMI), 50% AMI, 60% AMI, and market rate. YES would like to thank our architect: Jeebs & Zuzu, LLC and contractor Pavilion Construction for their hard work and dedication to this development which will be an amazing transformation. 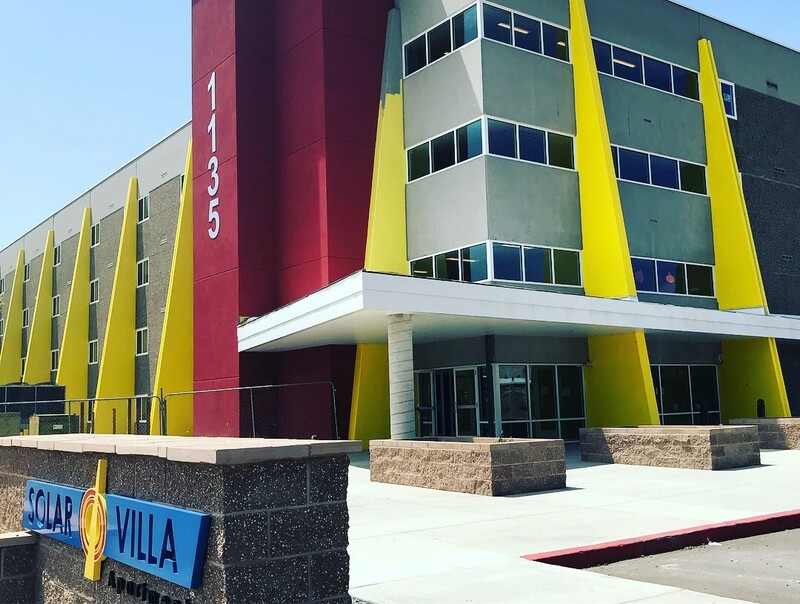 HopeWorks Village will be a 42 unit permanent supportive housing multifamily development, intended to serve those receiving assistance through St. Martin’s HopeWorks. All units will be one bedroom, designed to be both ADA accessible and have Universal Design Features. This building includes a management office, a maintenance room, a central front lobby, a social services provider’s office and additional service space, as well as public gathering spaces and laundry areas on the second and third floors. 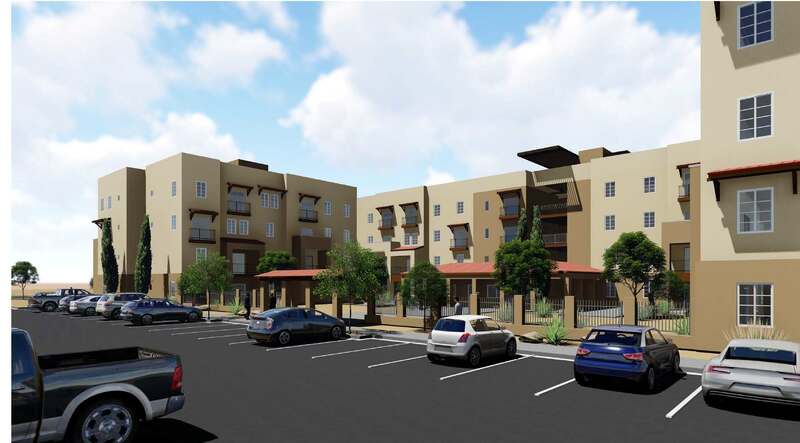 The development will serve very low income residents with at least 50% of the units for residents at or below 30% of area median income (AMI) and an additional 50% of the units for residents at or below 50% of AMI (100% at or below 50% of Area Median Income). YES is excited to be involved in this development as co-developer, assisting St. Martin’s/HopeWorks as the owner and lead service provider. And a big thank you to Mullen Heller Architecture, P.C. who is heading up the design team.